All of a sudden, Columbus Short is everywhere. He’s knocking folks out at bars. He’s got an actual storyline on Scandal. And now, he’s singing. But it is true. Just this week, Short released his debut single “Gave Ya”. The accomplished actor and dancer flexes his falsetto muscles on the track, producing something in the vein of what you’d expect from Jamie Foxx. He’s telling the women of the world to not be ashamed of what God gave them. And the results are shockingly good. Now, he’s not breaking any new musical ground. And you can tell from the production quality that he funded this with his own money. But, it is good. Listen below. But that’s not all Mr. Short has been up to. He is also co-starring with his wife Tanee McCall-Short in the film Open Ended. The film tackles “a couple’s joys and falls at the close of their six-year relationship.” You can check out a mini-prequel for the film, titled The End Again, below. The future looks bright for Columbus Short, well … as long as he doesn’t end up in jail. 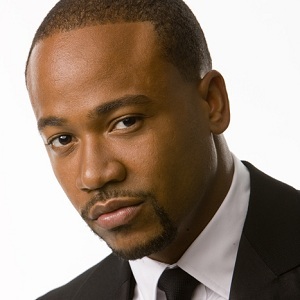 Are you feeling Columbus Short’s new projects? Share your feelings in the comments section below!